Canvas and Google Apps are integrated — that is, they play (fairly) nice together. Which is good! What do I need to do to use this? To turn in a a file from Google Drive, you need to go to the Google Drive tab when you are submitting an assignment. The Authorize button is discreetly hidden at the bottom of the screen. Mr. Battis thinks it’s hard to find. 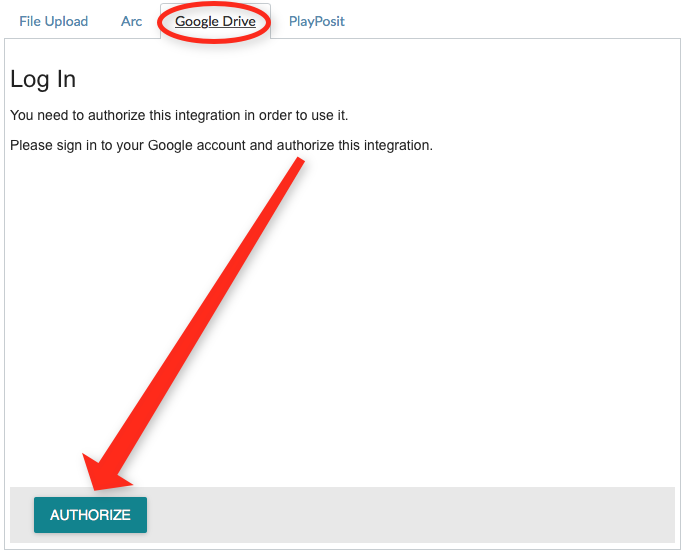 Click the green button and then give permission when Google Apps asks! When students turn in work online in Canvas, you have the option of turning in a Google Drive file (instead of a file from your computer). This will turn in a snapshot of the current version of your file in Google Drive. If a student makes edits “after the fact”, they will need to resubmit that file. When teachers link to files in modules (or anywhere they might link to a Canvas file), they can link to a Google Drive file using the “External Tools” option and then going into their Google Drive. Teachers can create collaborative Google Docs, Sheets and Presentations in Canvas under collaborations, with the ability to just tick off which students (or groups) in the class can have access to which collaborative document. Teachers can even create assignments based on Google Docs, Sheets and Presentations that students use as templates and turn-in their own edited, updated copies. Canvas, of course, has lots more details online in the Canvas Guides. How do I view my Google Drive files in Canvas as a student? How do I create a hyperlink or embed a file from Google Drive into the Rich Content Editor as a student? 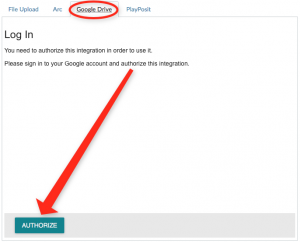 How do I submit a cloud assignment with Google Drive? How do I view my Google Drive files in Canvas as an instructor? How do I create a hyperlink or embed a file from Google Drive into the Rich Content Editor as an instructor? How do I create a Google Docs collaboration as an instructor? How do I create a cloud assignment with a Google Drive file? This entry was posted in Students, Faculty and tagged Google Drive, Google Docs, Google Sheets, Canvas, Google Apps, Google Slides, LTI (Learning Tools Interoperability) plugin, Reviewed by Academic Technology 2017-2018.